Update, April 2: Codename: Savage enters testing later today, and PUBG Corp have begun distributing keys. The third map for PlayerUnknown’s Battlegrounds is still early in development, but as promised PUBG Corp want to offer early rounds of testing to collect community feedback. That first round starts tonight at 19:00 PDT / 23:00 EDT / 2:00 GMT. Here are the nine PUBG maps we want to see next. You’ll need a key to access the new experimental test server, and PUBG Corp have begun offering them through the official site. Keys are limited, so grab them while they last. You’ll have to confirm ownership of the game on Steam in order to get one, but otherwise there’s no apparent restriction while supplies last. Update, March 30:The next map for PlayerUnknown’s Battlegrounds goes into testing on April 2. We knew the next PUBG map would soon be hitting test servers, and now we know exactly when. 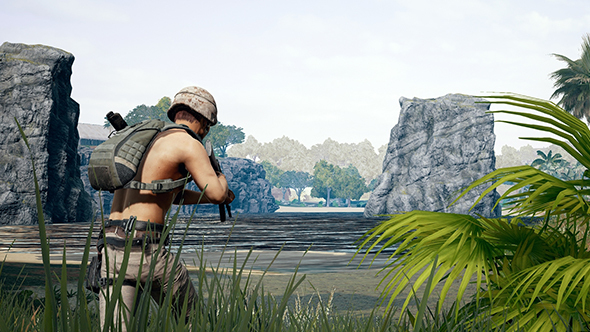 PUBG’s third map – now known as Codename: Savage – will open for testing on April 2 at 19:00 PDT / 23:00 EDT, or April 3 at 2:00 GMT. That test will run until April 5. We’ve heard several times over now that this map is being displayed extremely early in development, and this first test is to “make sure that nothing is too broken.” The 4x4km map is far smaller than the previous two, and is built on a Pacific island aesthetic. A quick bit of gameplay footage from GDC offers an idea of what to expect. Original story, February 20:PlayerUnknown’s Battlegrounds is getting a new map sooner than you might expect. A roadmap set to be released in March will include more details about a third in-game map. The update announced a few balance changes, including turning some Miramar fences into unbreakable walls, and cutting off vision into the plane during the initial ride. PUBG Corp also say that matchmaking will now be divided depending on ping, meaning users with lower pings will be prioritised during matchmaking. The first trials for this, which could prove pretty terminal for those playing in regions other than their own, will begin this week. Players had to wait a long time for PUBG to get a second map – desert map Miramar joined Erangel with the game’s 1.0 release in December 2017. That means the wait for the third map will likely be significantly shorter – even if it doesn’t launch until June, that’s only a six or seven-month gap. PUBG Corp haven’t revealed anything more about the map, but it’s likely it’ll be Adriatic-themed, potentially adding much more water than Miramar’s desert.